Cubits, a spam, and ephah and a bath. 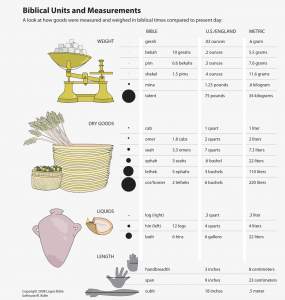 What do all of these mean in the Bible? Here is a helpful chart taken from Verbum. how about 1,000 years according to the rapture folks? Very helpful — thanks Steve!